The strongest of all the SBH ball heads, SBH-300 is a lightweight brute. SBH-300 precision-cut ball head moves swiftly and steadily so you won’t miss the action. Constructed of solid, strong magnesium alloy, it\’s durable and yet lighter in weight than the industry standard. Unlike other ball heads, SBH ball heads are designed with molded body parts, not assembled cut parts, like the competition. Its smooth locking knobs allow you to move the ball head swiftly and securely into the perfect position, even with the heaviest lenses and cameras. It includes two bubble levels, 360-degree scale, fine-tuning knob and a safety lock for extra stability. A special universal VANGUARD quick shoe for body/lens is also included so you can upgrade your system to quick-release immediately. Large camera plate has outstanding loading capacity for professional gear; supports up to 70 lbs./32 kg. After spending sometime with this ballhead I find it to be precise, reliable and tough. 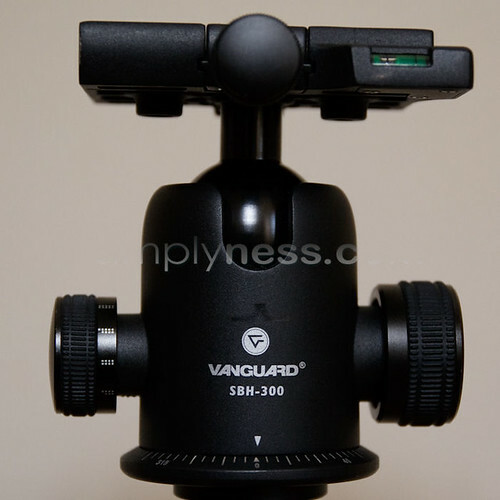 Having seen some of ballhead from leading manufacturers, I can honestly tell that the quality of the SBH-300 can equal or exceed them. However to my needs it is an overkill so I’m planning to get the SBH-250, but I will still keep the SBH-300. For $99.00 buy it, you won’t regret it, it’s a steal. If you are looking for a heavy duty ballhead that can support up 70lbs of gear this is the ballhead for you, or if you need a much small ballhead then try the sbh-50, sbh-100 and sbh-250. This entry was posted in Photography Gear Reviews and tagged in Ball Head, ballhead, head ball, Photography Gear Reviews, reviews, sbh series ball head, sbh-300, vanguard, vanguard ball head, vanguard sbh-300, vanguard sbh-300 ball head review, vanguard sbh-300 ballhead. 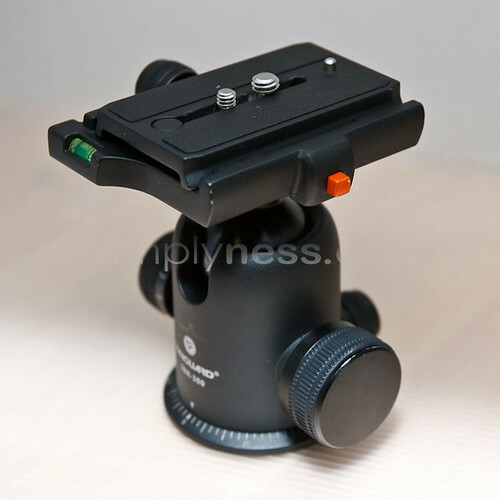 « Use Flash in Your Macro Photography. Looking into buying this ball head. 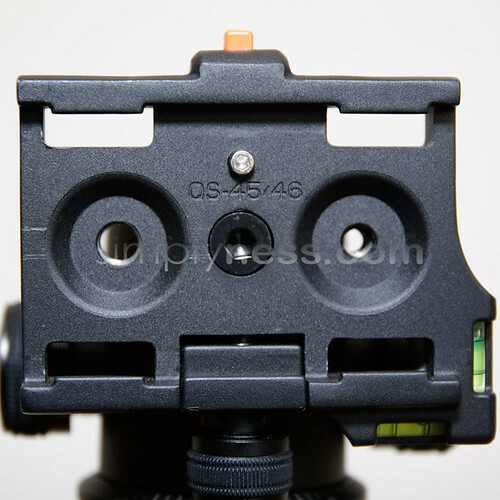 Is this plate adapter here removable so you can upgrade it to a clamp style instead of the turning nob? just wondering since it appears to have a Allen wrench screw here.